Large format trade show graphics are highly-influential media. With the right graphic design, a large format trade show graphic influences people to start asking questions at your trade show display. When you're exhibiting at a trade show, however, where you're surrounded by competitors and other vendors vying for audience attention with flashy signage, you need a visual message that turns passers-by into qualified leads. You need trade show videos by Dynamic Digital Advertising (DDA). Start reaping the advantages of high-impact trade show videos today by contacting DDA at (215) 355 ­ 6442. Dynamic Digital Advertising has the answers to questions such as these and others. If you have concerns about trade show video production, please contact us today by phone or email and discover the benefits of exceptional trade show display production services. How can I be sure my trade show video will impress my audience? DDA houses a state-of-the-art digital video recording studio. Our experienced videographers use digital equipment for editing and production which allows DDA to use first generation footage that retains its true-to-life color or contains manipulated color for brilliant clarity and contrast. The trade show video’s audio quality is also enhanced so that every word from a speaker’s mouth is easily heard and understood. No media produced by DDA’s studio is fuzzy, dull, or indistinct; furthermore, our all-digital approach to production gives you the quality of a big budget studio without the exhibit-breaking price tag. What do I want my trade show video to say about my company? Dynamic Digital Advertising maintains a staff of full-time scriptwriters and copywriters. These degreed writers work with clients for dialogue or narration that is succinct yet informative and compelling. Some clients prefer executive summaries to introduce trade show attendees to their companies; others prefer to showcase new products or services. DDA helps you clarify your objectives and then crafts the script that accomplishes those objectives. Is the trade show video’s message right for this trade show display? Discontinuity between the large format trade show graphic design and the trade show video may stop attendees in their tracks, but only because you’ve confused them. Avoid this pitfall by coming to Dynamic Digital Advertising for the design of your entire trade show exhibit. The video, graphics, colors, etc., orchestrated by DDA form one clear, commanding message that draws a person in for more information. I have a team of informed sales reps, why do I need a trade show video? You’ve probably been to trade shows before, so you know how long you’ll wait in line to talk to someone before moving on. If you have people lining up to speak with your reps, you may consider the trade show exhibit a success but DDA sees possible leads that have moved on because they were bored, impatient, frustrated, or even shy. Trade show videos by Dynamic Digital Advertising entertain and educate people if they’re waiting in line or inform them if they’re not sure they want to engage a sales rep. Put answers at your audience’s fingertips with trade show videos and gain a more qualified audience. Some companies shy away from trade show videos to complete their exhibit because of concerns about equipment failure or electrical wiring. If this could be your company, please read about our Trade Show Display Design, Management, and Construction process to see how Dynamic Digital Advertising takes every possible step to ensure that your trade show experience is enjoyable, productive, and stress-free. When designing a trade show exhibit, DDA makes sure that your booth is wired, rents LCD screens, plasma monitors, etc., and produces multiple copies of your trade show video on DVD, CD-ROM, or VHS. No other medical marketing/ advertising agency can handle your business-to-business medical advertising and direct-to-consumer medical advertising like DDA Medical can. 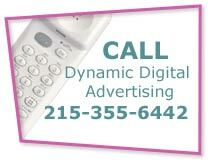 As a division of Dynamic Digital Advertising, we bring experience and versatility to medical equipment advertising. Internet expertise is a must in the rapidly changing field of global medical marketing, and DDA Medical’s proven ideas for medical advertising emphasize online and digital medical marketing service strategies. With our business-to-business and direct-to-consumer advertising, medical equipment ends up in more doctors’ hands, thanks to effective medical device marketing. Advertising should be easy; with DDA Medical, marketing medical equipment is always a painless procedure. You know Dynamic Digital Advertising, the full service advertising agency that keeps your name in prospective clients’ minds and search engines. 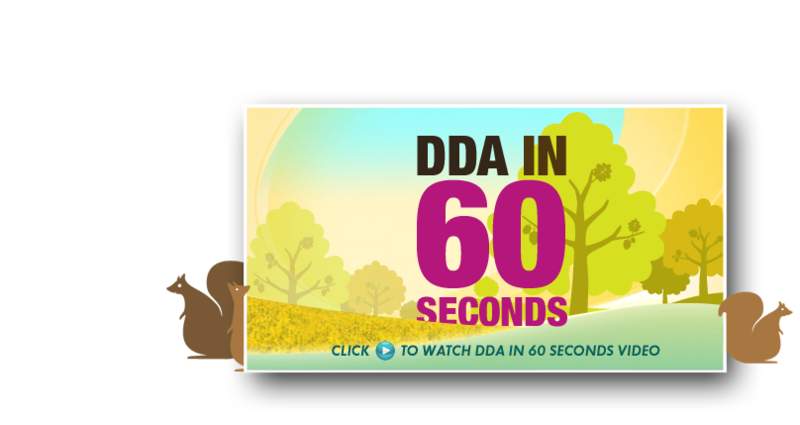 But do you know DDA Video, DDA’s in-house video production company? Services like video editing, video production and video webcasting are done at broadcast quality, and offered at reasonable prices. Whether you need a corporate medical video, a training video, or any other sort of video you can imagine, DDA Video is uniquely equipped to bring your vision to life. Contact DDA Video to check out our full or partial video services. Successful business takes place in the online world. A company who is prominent on the web through high search engine rankings for highly-searched keywords is taking full advantage of the benefits of the e-commerce revolution. Show up on the front pages of search engines and become one of the most respected companies in your industry with custom website design services by Dynamic Digital Advertising. DDA utilizes a hybrid website design and development process comprising fourteen steps that construct strong websites able to place on the first pages of Yahoo, Google, MSN and other major search engines. Dynamic Digital Advertisings ability to develop state-of-the-art 3D models is not why DDA is the nations leading graphic design firm: DDA is leader due to maintaining one of the largest digital graphic design service offerings in the United States. Graphic designs by DDA are useful in a variety of advertising and marketing material, and additionally can be used for successful branding or corporate identity design. Dynamic Digital Advertising is experienced in developing new logos for the improvement of existing corporate identities or the creation of new corporate identities. Click the icon to learn more.